What do Jeff Bezos, Sean ‘P.Diddy’ Combs, and Anne Frank have in common? They were all educated in the Montessori system. The Montessori approach to children has been time-tested to be incredibly effective. Want to learn more about how to bring a taste of Montessori into your home? 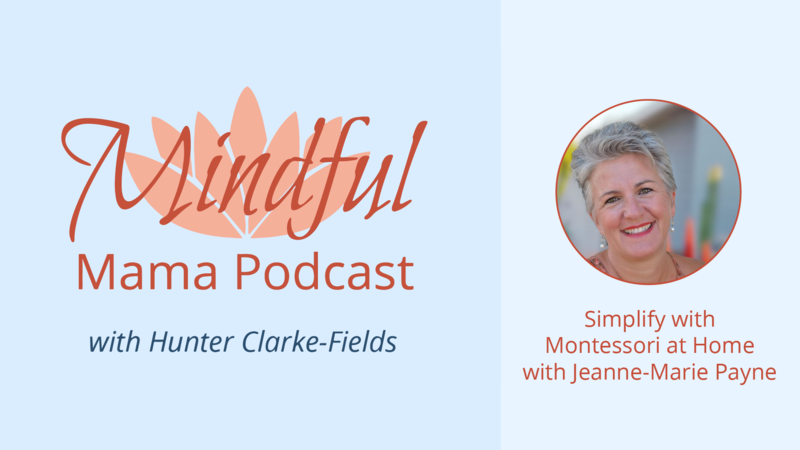 You’ll learn how with today’s podcast guest, Jeanne-Marie Paynel, of Voila Montessori. Children are way more capable than we give them credit for. Children have a natural desire and curiosity to learn that we can tap into. We should stop interrupting our children when they’re absorbed in play. Jeanne-Marie Paynel, founder and CEO of Voila Montessori, is a Montessori Parenting Mentor and Home Consultant. She guides expectant parents, caregivers and parents of young children to prepare their homes and themselves for their children to thrive during the first years of life. Jeanne-Marie gives talks locally and internationally, where she combines her three passions: Montessori, Conscious Parenting and Positive Discipline.